Former USA Vice President Al Gore's involvement in environmental issues such as Global Warming continues to keep him in the public eye. 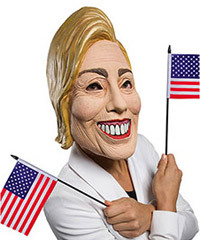 So it's no surprise you can shop for funny political face disguises of Al Gore to complete your satirical political costume for Halloween or any political themed party. 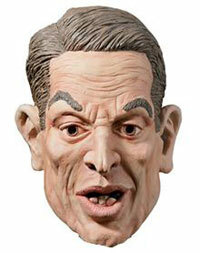 This face disguise is a full head mask of former Vice President, now Global Warming expert Al Gore. One size fits most adults and older teens. 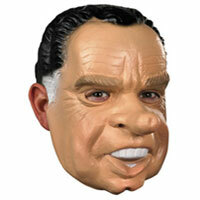 A funny character mask for anyone with a political sense of humor.